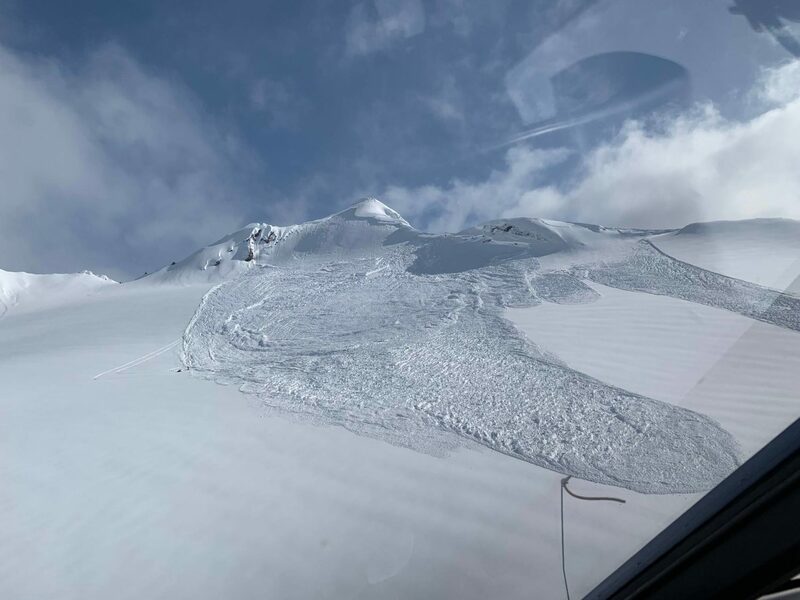 Yesterday, 5 guests at Points North Heli, AK were captured and carried by an avalanche. 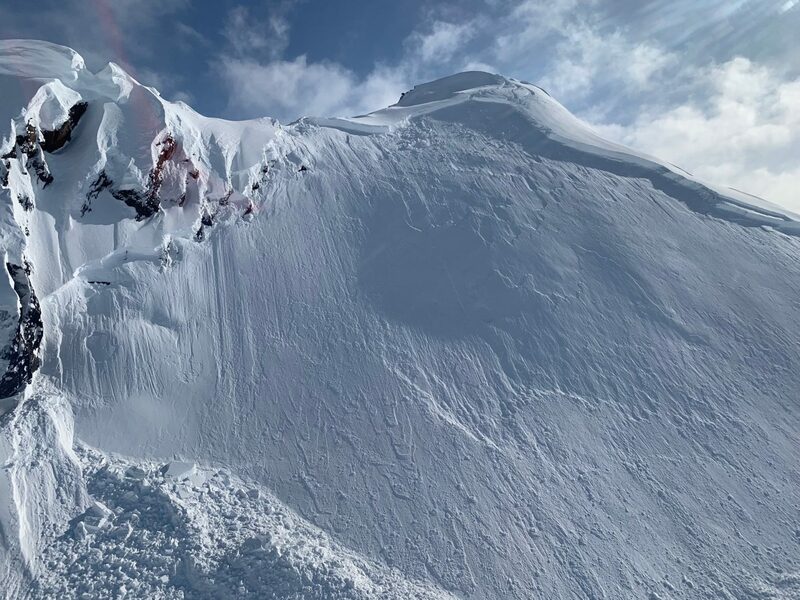 Thankfully, the only damage that was sustained by the slide were minor, non-life threatening, injuries to the skier that triggered the slide and 2 other skiers lost some gear. Points North Heli was upfront and honest about the situation. There was nearly 45″ of fresh snow and extensive measures had been taken to ensure guest safety. We are thankful that everyone walked away from this incident and that Points North Heli was so upfront and honest about the situation. “Today we pushed into a small weather window following a significant precipitation event. At 4000’ we found approximately 110cm of new snow. In the new snow there were multiple density breaks. Test results were unreactive (a test pit on a similar aspect and elevation produced ECTx). 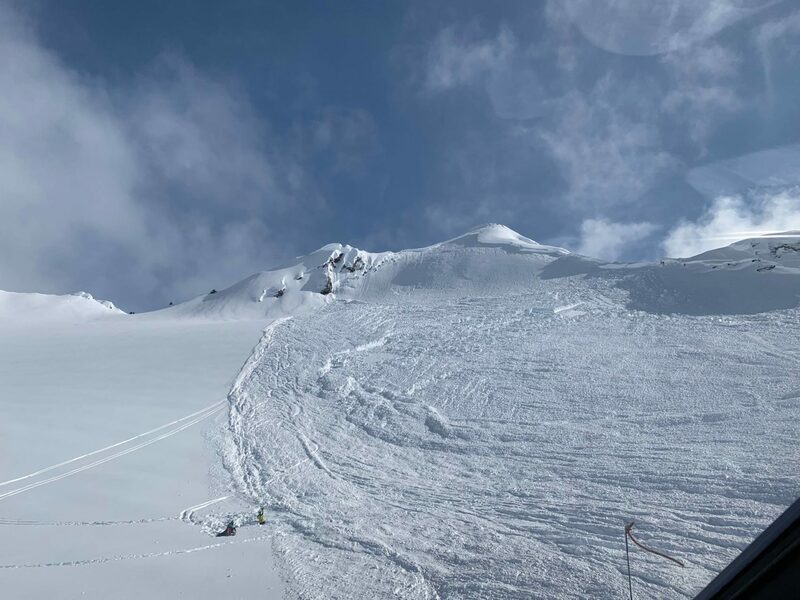 Multiple ski cuts on test slopes on runs prior to the incident, of similar aspect, elevation and slope angle produced no results. Easing into isolated, fairly short, steeper terrain at 15:00, the fifth skier in a group of five triggered the avalanche. Four in the group below, waiting in what has historically been a “safe-zone” for this run, were captured and carried, along with the skier above. All five were on the surface with some gear lost by two skiers. 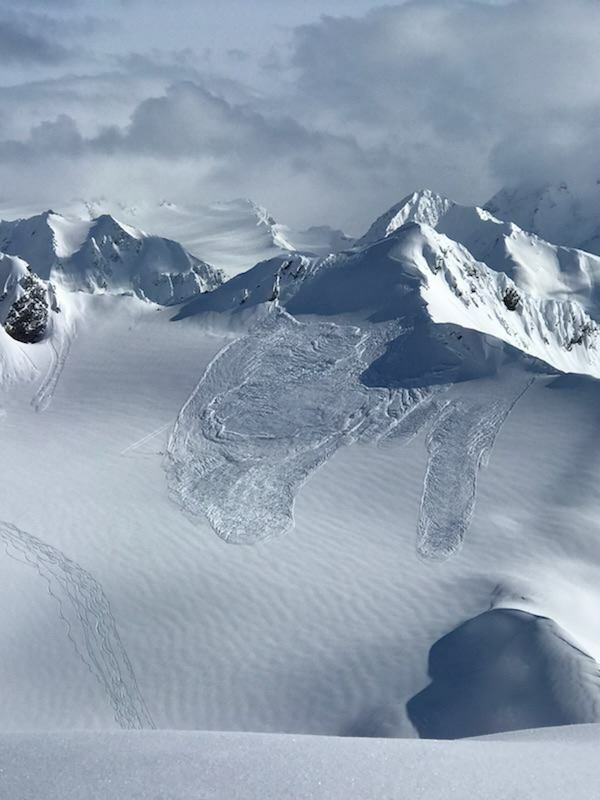 Minor, non-life threatening injuries were sustained by the skier who triggered the avalanche (dislocated elbow, knee sprain, possible ligament tear).” That is all. An adjacent group very close was able to help with recovery and assist with care. The day was called immediately and all groups were flown back to the PNH base here in Cordova where a debrief with all guides and all clients then took place. Thanks for posting Miles. That is a big slide! Thankfully it didn’t pick up much speed or they may not have walked away. I was there the previous week but we were unable to fly because of the persistent storm cycle. I will try again next year!